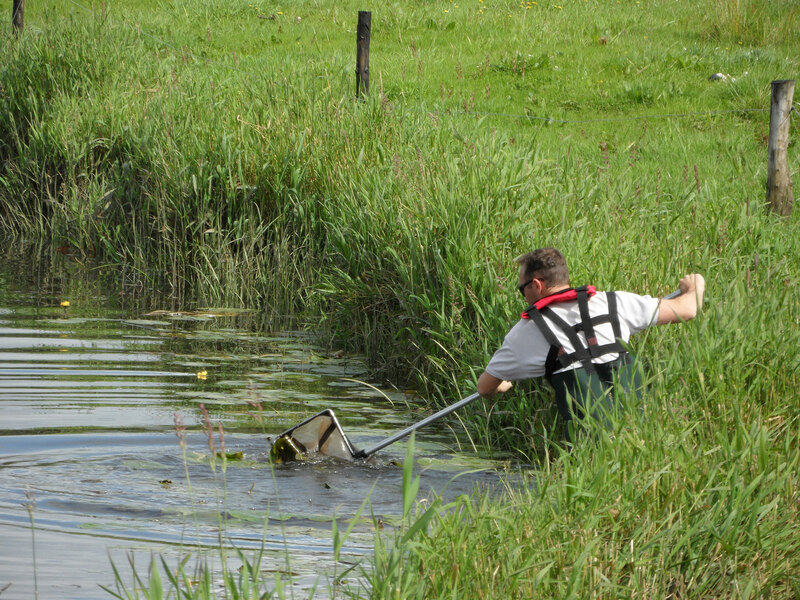 Sweep-netting can be carried out in soft substrate or heavily vegetated lakes. This method can be inconsistent, especially in stretches of shore containing rocky areas. However, it can be a highly effective method of surveying soft substrate and heavily vegetated river banks; where the bottom is obscured by vegetation and debris, and where visibility is poor. Sweep-netting is also an effective method for capturing hatchling crayfish hiding in weeds. The surveyor is required to do 20 full sweeps of a habitat patch. A standard sweep is undertaken by sweeping the net along one metre of bottom, forward and back once along the same track, taking one second per movement. This standardized sweep does not compensate for the fact that sweep-netting is evidently inconsistent in comparison to hand-searching. Sweep-netting is regarded as a more cost and time-efficient method of sampling than trapping variations; especially in locations sites where there is dense bank vegetation.